With my term ending in a few months, I find myself reflecting upon all that our alumni association board of directors has accomplished this year, and the good work that still needs to continue. 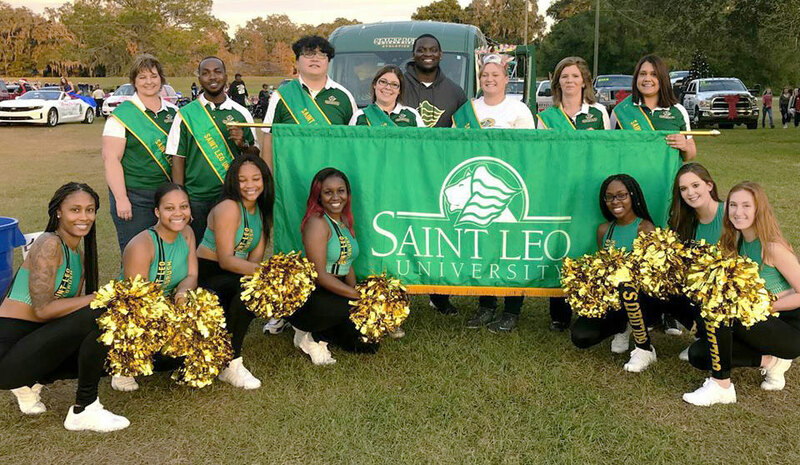 As your board, our mission of fostering a mutually beneficial relationship between Saint Leo University and alumni is at the forefront of all we do. I’m pleased to share with you a few highlights of how we “defined success” this past year. 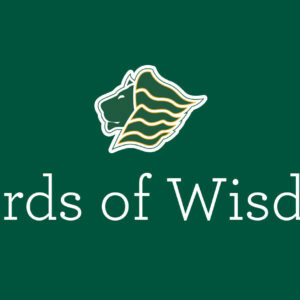 I hope our board’s leadership efforts inspire you to stay connected and engage with one another, to give back to our alma mater in meaningful ways, and to share your Saint Leo spirit by volunteering in the communities where you live and work. 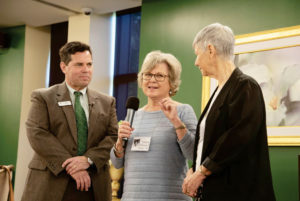 The alumni board recently made a financial contribution to Make a Difference Inc., an organization that provides necessities for people in need throughout Pasco County. Made on behalf of all alumni, this gift will help support the local community surrounding University Campus. 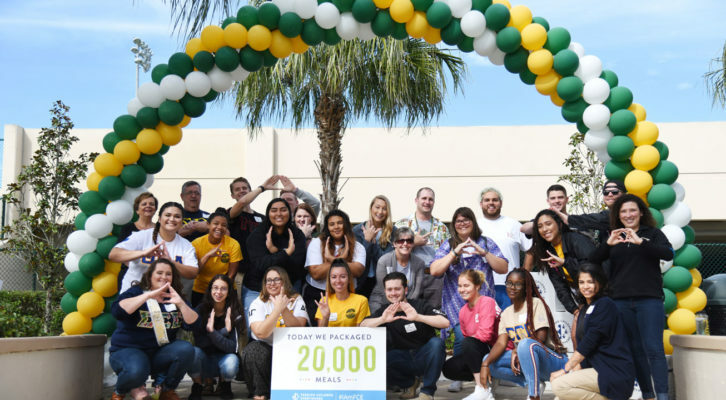 During homecoming, Greek Life members—past and present—came together and assembled 20,000 meals for Feeding Children Everywhere. This organization provides healthy meals to children in need around the world. The Tampa Alumni Chapter collected new toys at its annual Christmas party to donate to the Marine Corps Toys for Tots program. The Virginia Southside Alumni Chapter collaborated with the Chesapeake Education Center for a day of service at the Foodbank of Southeastern Virginia and the Eastern Shore. 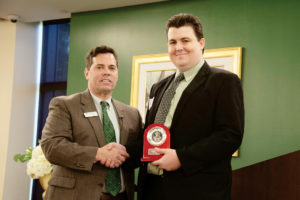 The board of directors recognizes that alumni who have graduated from Saint Leo’s online program or an education center may not have as many opportunities as University Campus graduates to connect with fellow alumni. That is why we will soon launch a program specifically designed to help WorldWide alumni connect, including a virtual alumni chapter for professional networking, mentoring, and socializing. 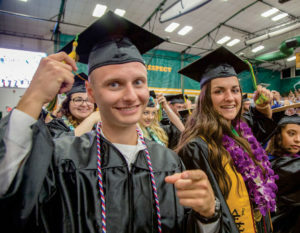 As you read this, the Class of 2019 is preparing to experience a major milestone by graduating from Saint Leo University. The board of directors will be with them to welcome them to our alumni association. 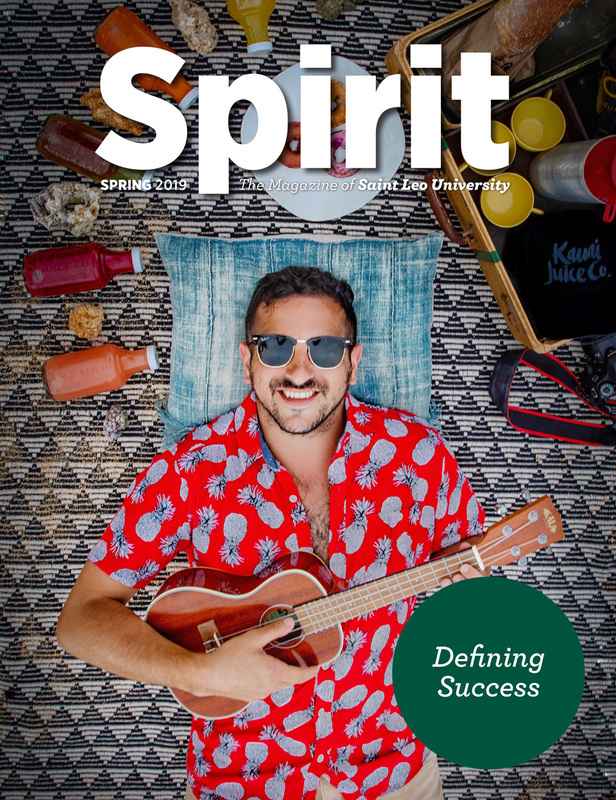 We plan to share special communications about the importance of staying connected and being an active alumnus, engage in celebrations along with them, and be there to greet them and their families during commencement ceremonies. 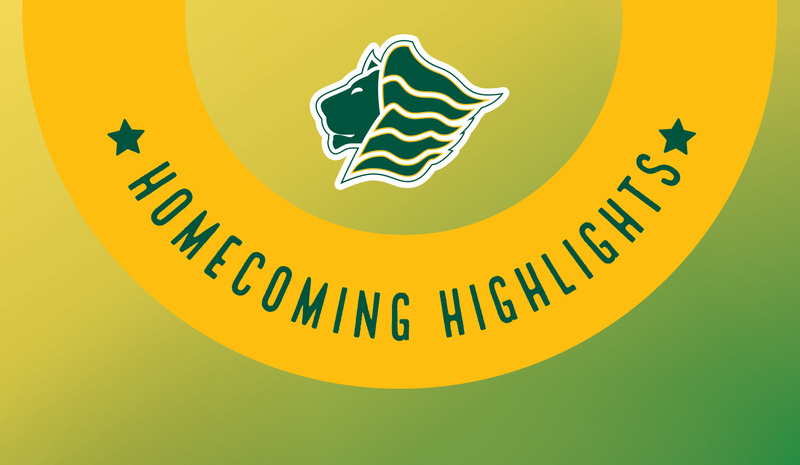 During homecoming 2018, several alumni were honored for exemplifying the university’s core values and demonstrating a commitment to strengthen their alumni community. The weekend began with the 2018 Athletic Hall of Fame Induction Ceremony, followed by the presentation of the Distinguished Alumni and Benedictine Spirit awards at the Brunch with the President. The 2018 Roaring Onward Alumni were honored at the brunch. Nominations for 2019 are now being accepted. To learn more about these programs or to nominate deserving alumni you know, please visit your.saintleo.edu/alumniawards. 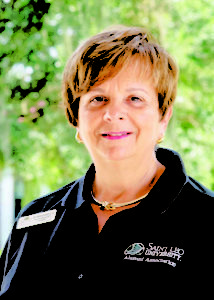 Valerie Crane ’62 graduated from Holy Name Academy and then attended Loyola University School of Dentistry, in New Orleans, for dental hygiene. After 25 years as a dental hygienist, she is now retired and lives in Alabama with her husband, John. Crane received a scholarship to Holy Name Academy as an incoming high school sophomore. She says the Benedictine Sisters encouraged her to take leadership roles that she would have never attempted at a large high school. She felt fortunate “to have had a nurturing environment and excellent education.” Crane enjoys lake living and spending time with John, their four children, and nine grandchildren. Dr. Brandon M. Brooks ’11 graduated with a biology degree and is a third-year podiatry resident at the Charlie Norwood Veterans Affairs Medical Center in Augusta, GA. To date, he has completed more than 1,000 foot and ankle surgeries during his residency and was appointed chief resident for the 2018-2019 residency year. As a doctor in the Department of Veterans Affairs, Brooks is proud to wear a Saint Leo lanyard around the clinic and operating room. He says he feels “blessed to be a Saint Leo alumnus,” citing that everything he learned set the foundation for his entire career. Brooks and his wife Amanda are proud parents to Levi and are expecting their second child in April 2019.